CITIC Envirotech’s share price was hurt by worries over Hyflux woes and a CEO change. These worries are unwarranted as the CEO change is not a surprise and Dr Lin’s share purchase is a strong vote of confidence. Hyflux is different as its woes stem from energy, not water. Also, CITIC Envirotech has stronger backing, profitability and a more robust balance sheet. With China’s Xi vowing a tough war on pollution, the macro background is also rosy. Maintain BUY with target price unchanged at S$1.06. CEO re-designation should not be a surprise given SOE status. While there has been some investor worry about the re-designation of Dr Lin from CEO to non-executive director, we opine that this should be expected and not a surprise. China’s state-owned enterprises (SOE) such as CITIC are expected to be controlled by party officials (eg CLSA, which three years after CITIC’s takeover, had similarly replaced its top manager with a party official) and from the initial General Offer, CITIC stated that management contracts would renewed for three years for management continuity. It can therefore be expected that at the end of these three years, CITIC would want a party official to run CITIC Envirotech (CEL). By increasing his CITIC Envirotech stake, Dr Lin’s share purchase is a strong vote of confidence. Furthermore, after Dr Lin’s move to non-executive director, he had increased his holding of the company through open market share purchases (2.3m shares, S$0.67/share), marking his confidence in CITIC Envirotech’s business despite not being involved in day-to-day operations. As such, we see no reason to worry about CITIC Envirotech’s business as Dr Lin’s replacement has been CITIC Envirotech’s Executive Chairman for three years and should thoroughly understand the business. Unwarranted price dip caused by Hyflux worries. Singapore’s water segment had recently been weighed down by Hyflux’s woes. However, Hyflux is drastically different from CITIC Envirotech. Hyflux’s problems largely stem from its Tuaspring plant/energy business where it is unable to sell electricity profitably. CITIC Envirotech, on the other hand, is a SOE backed by the Chinese government and operating in a rosy macro landscape. Furthermore, CITIC Envirotech’s balance sheet and profitability is stronger than that of Hyflux. As such, we believe that the unwarranted price dip was caused by Hyflux’s worries. China’s Xi vows tough battle against pollution, water pollution plan necessary; environmental stocks rally. At a recent two-day tone-setting national conference, Chinese President Xi reaffirmed China’ on pollution, noting improvements but stating that “progress was not made in a firm manner”. Xi has vowed to wage a tough battle against pollution with China to channel more energy into resolving environmental problems and pushing China’s ecological advancement to a “new level”. He also said that “building an ecological civilisation is of fundamental importance” and while there will be challenges, China “must bite the bullet and overcome them”. Xi also stated that a water pollution action plan would be necessary. China/HK environmental shares rallied after the meeting, with A-shares such as water treatment firm Shanghai Emperor of Cleaning Hi-Tech and water management company Poten Environment hitting their daily 10% gain. Key risks include a delay in project construction and a weakening of the renminbi. Maintain BUY and our DCF-based target price of S$1.06. Our DCF-based target price is S$1.06, implying a 2019F PE of 11.6x, mirroring SG/HK peer average of 11.2x. The stock remains the cheapest on 2018 valuations vs its Singapore peers such as SIIC Environment and China Everbright Water with a 2018 forward dividend yield of ~3% looking attractive. 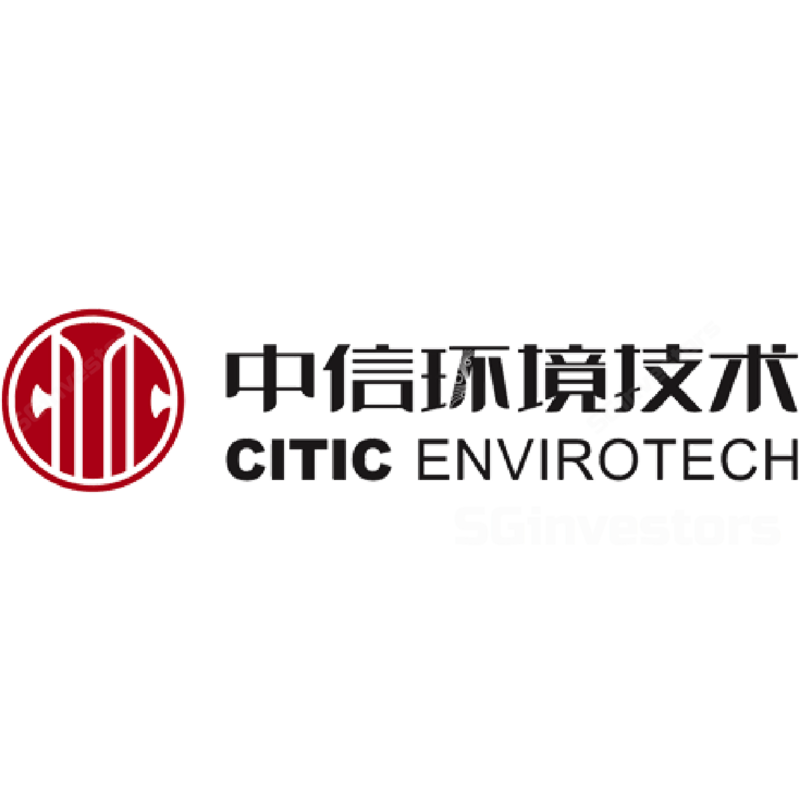 Share buybacks from CITIC Envirotech.